2018 is still fresh and always at the beginning of the year before and after Google's yearly major event the Google I/O we expect new products and updates. Talk of town for a long while has been of Gmail update. Been long since Gmail got an update and here it has finally arrived. 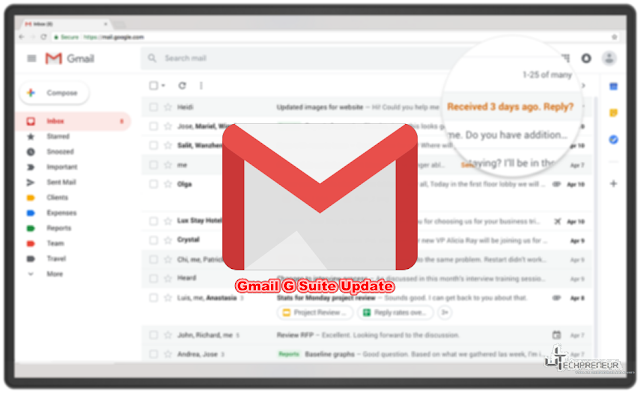 This all-new Gmail for Gmail Suite users includes, a brand new look on the web, advanced security features, new applications of Google’s artificial intelligence and even more integrations with other G Suite apps. Google adds that they're "introducing a new way to manage work on the go with Tasks". 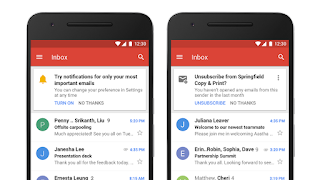 Am excited for sure some updates are coming for the free Gmail users. Let's start with security as its one of Gmail's top priority because the main thing all users want to know about what they are going for especially dealing with online services/apps is security. With the new update Gmail wants to keep your more sensitive data more secure with a new feature called the "Confidential Mode". This is a new feature/mode that makes it possible to protect sensitive content in your emails by creating expiration dates or revoking/deleting previously sent email(s). Ever heard of that? hehehe yeah, on WhatsApp-deleting sent messages and Telegram's self-destruct feature. Another new thing to sent messages, double authentication has been added in that an authentication text message is sent via text message to view an email which makes it also possible to protect data even if a recipient’s email account has been hijacked while the message is active. This new security features will have Built-in Information Rights Management (IRM) controls which will allow an email sender to remove the option to forward, copy, download or print messages. This helps reduce the risk of confidential information being accidentally shared with the wrong people. 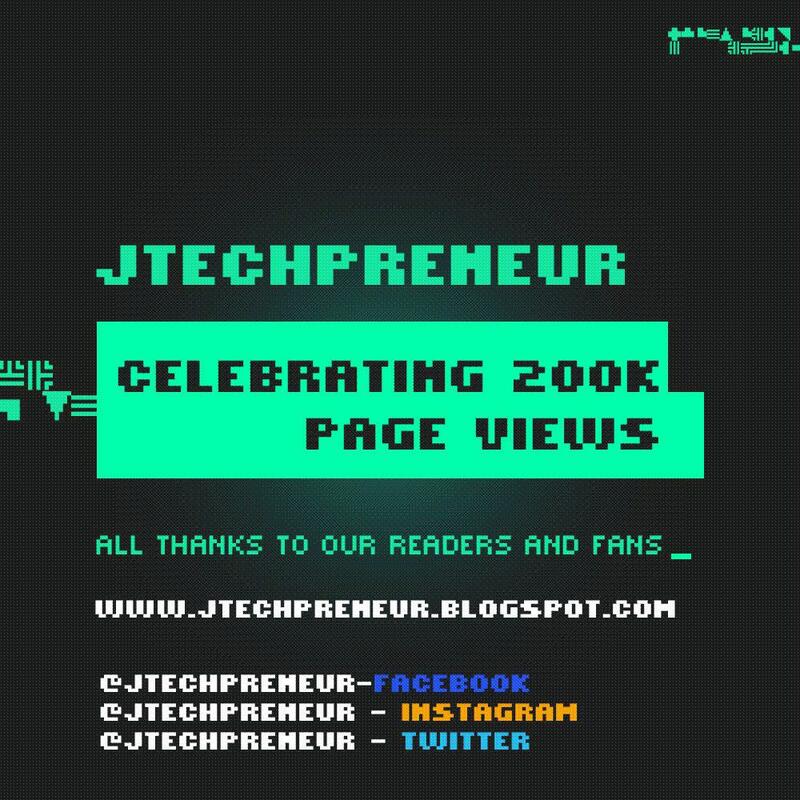 This is my best part, AI has grow so advanced nowadays through various tech companies especially gadget making companies. Apps now have AI capabilities which make it easier for you to use an app, the app "learns it's user" then gives back what the user wants even before the user does anything. The new AI-powered features in Gmail are things like Nudging, Smart Reply (same as on Gmail mobile app comes to the web version) and high-priority notifications, which can now help you spend more time on work that matters. interruptions to a minimum. Gmail can also recommend when to unsubscribe from mailing lists. Do you read our emails? Using AI learning, unsubscribe suggestions appear based on cues like how many emails you get from a sender and how many of them you actually read. 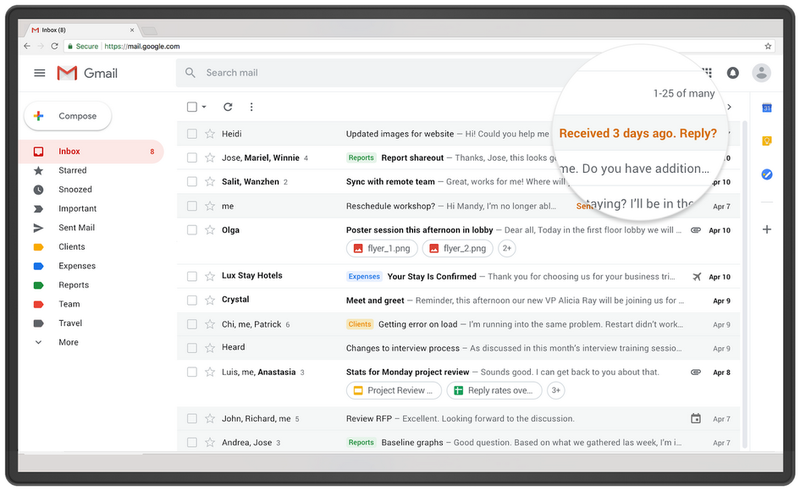 On Fig 1 you can see most of the added inbox tools that have been added to gmail web application to help you take action even quicker. With this new tools you can see and click attachments in your inbox before ever opening a thread. You can also hover over messages (you don’t have to click into them) to do things like RSVP to a meeting invite, archive an email thread or snooze an email until the time is right. Now the question comes in, if am always using the hover and snoozing function on messages, am I going to get the unsubscribe message the day I decide to open it? Gmail is also integrating Gmail with other G Suite apps you use every day for quickly reference, creating or editing Calendar invites, capturing ideas to keep or manage to-do Tasks all from a side panel in your inbox. 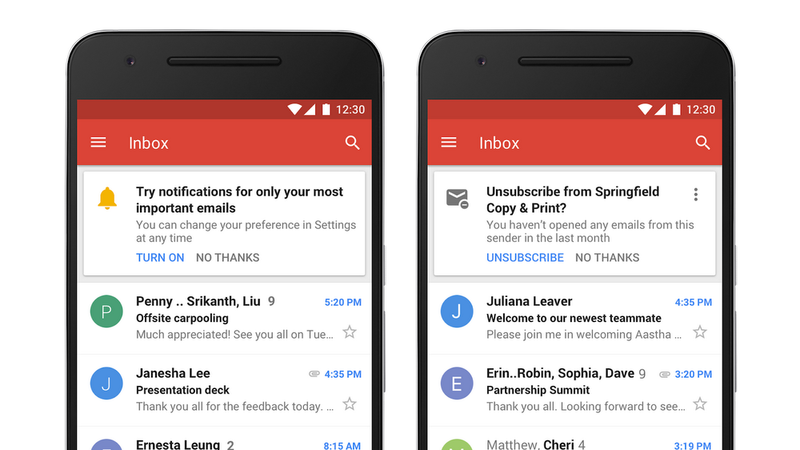 The side panel will also make it easy to access Gmail Add-ons, too, like third-party business apps you might use. This way you don’t have to switch between tabs or apps to get work done.